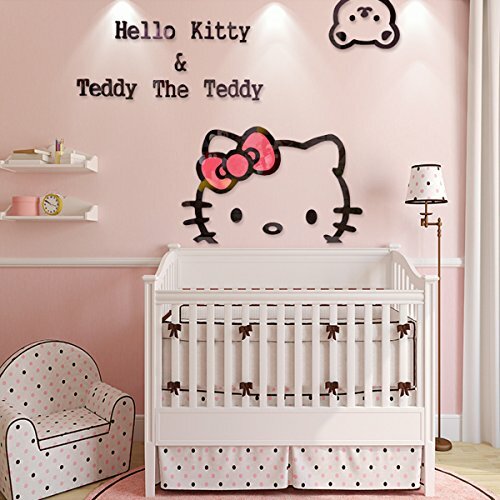 Ikeelife Creative KT Cat Hello Kitty Wall Sticker Acrylic Children Room 3D Cartoon Adornment Bedroom Nursery Wall Mural Decals Kt,100x72cm/39.4"x28.37"
Ikeelife newly presentation, detailed products information,please see our ads content page.. Accomplished size depends on the pasting as you like,the Actual Item Size:100x72cm/39.4"x28.37"
Please guarantee the wall surface is smooth,clean and not moisty before Pasting,otherwiase it will affect the sticky effect,kindly notice of that. If you have any questions about this product by Ikeelife®, contact us by completing and submitting the form below. If you are looking for a specif part number, please include it with your message.